A quality product or service is the successful and profitable outcome of organising resources, as judged by the final customer. Every business unit needs processes in order to do this effectively; and all processes must be documented so that achievements can be measured and future improvements planned and implemented. 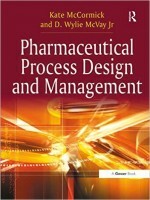 Pharmaceutical Process Design and Management takes a step-wise approach to process management. It presents the various elements comprising a process (man, machine, materials, method and environment); it looks at quality control and quality assurance, tools for quality improvements and ways of structuring a process into discrete, fully accountable elements; it proposes that for processes to run successfully, all operators must be the initial problem-solvers; finally, it illustrates how, with the right tools, every problem can be broken down into solvable elements. Learn how to deploy a science and risk-based approach to pharmaceutical manufacturing, by taking a fundamental approach to process design and management and, as a consequence, keep your customers satisfied and your profits healthy. This book is comprehensive, practical and brings new thinking to the manufacture of pharmaceutical products. The authors demonstrate a wealth of experience and use numerous examples from real life. They present innovative ideas in context with current thinking, the regulatory environment and the industry's history. It is a valuable resource for anyone seeking information on modern approaches to pharmaceutical production. It serves to be a valuable resource for those seeking information on the modern approach to pharmaceutical production. If your aim is to employ a scientific and risk-based approach to the manufacturing process while maximising profit and ensuring customer satisfaction, then Pharmaceutical Process Design and Management should form part of your reference material.